Football is a fickle game- allegiances change over time, and past heroes often become pantomime villains thanks to a wrong career move. Loyalty was held in high regard at one time in football, but given the huge paychecks that come with being a professional footballer, loyalty has become precious commodity in the sport these days. "You never have to chase people down and beg for their loyalty and respect. It's either they're with you or they're not." The major reason for the disappearance of loyalty from football has been money that is now on offer for playing in the top leagues. There are instances of clubs doubling, even tripling the wages of players just in order to sign them. Considering the fact that a footballer's career lasts a little over a decade, it seems to be almost impossible to reject that kind of money when its on the table. The most obvious 'reason' cited by players to make the big-money move, sometimes even to rival clubs, is that it is to ‘further their careers'. Take for example the case of Robin van Persie moving from Arsenal to fierce rivals Manchester United, a move he said was in order to ‘win trophies’, he would hardly have made the move had he been offered lesser wages than he was earning at Arsenal, now would he? Samir Nasri and Carlos Tevez also made similar moves to Manchester City to ‘further their careers’. There are some who are stupid enough to rub it in like Kenny Miller or Emanuel Adebayor. Kenny Miller, who had played for Rangers a few years before his move to Celtic, kissed the Celtic badge while celebrating a goal - a bold move. In an even bolder move, Adebayor sprinted the whole length of the pitch after he scored against Arsenal to celebrate the goal with a power slide. Was that stupid or what? 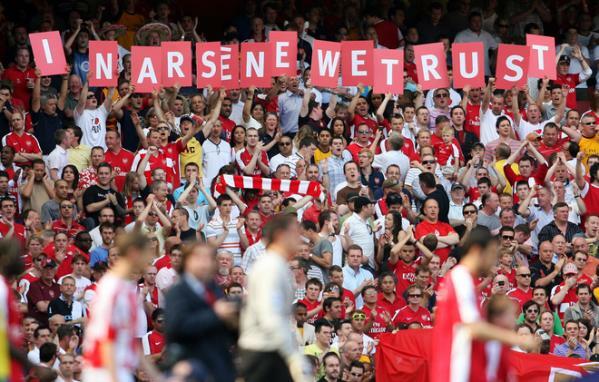 Football fans are alright with players moving to a foreign league to 'win trophies'. What they absolutely can not stand is a player moving to a domestic rival. Few fans would begrudge Cristiano Ronaldo or Xabi Alonso moving to Real Madrid, or a Cesc Fabregas returning to Barcelona; in fact they are still adored by the fans for the respect they show for their former clubs. On the other hand, we have the likes of Robin van Persie and Fernando Torres making the move to rival clubs. Who could forget the infamous greeting that Portuguese legend Luis Figo got on his return to Barcelona for the first time in Real Madrid colors - the fans threw a sever pig's head at him while he was taking a corner. At the other end of the spectrum is someone like Zlatan Ibrahimovic, who has played at six different clubs in his career including some domestic rivals, or a Nicolas Anelka, who has played at no less than eleven different clubs in his career, earning themselves titles of mercenaries, moving from one pasture to another in search of the green. Despite all of that, we do have 'one-club men', who have stuck with their club through thick and thin and played out their careers at the club where it all started. The likes of Paolo Maldini of AC Milan, Francesco Totti of Roma and Gary Neville of Manchester United spring to mind- players whom many of us have seen playing, players whose loyalty was beyond reproach. Alessandro Del Piero, who is now playing out his career in the relative footballing wilderness of Australia, was a one-club man who stuck with Juventus during their relegation due to the Calciopoli scandal when many of their established stars like Paolo Canavaro and Ibrahimovic went seeking for greener pastures. 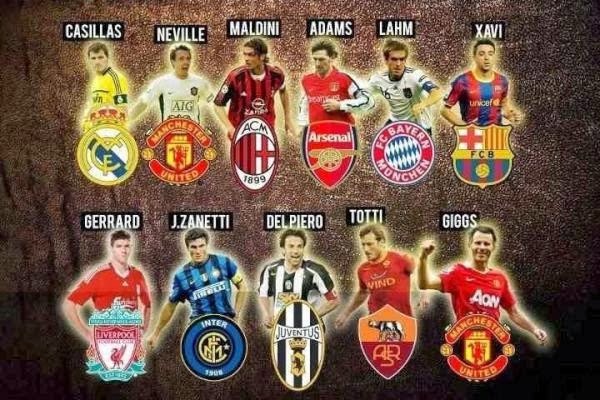 Players and managers, till a couple of decades ago, tended to stick with with a club for a long period of time or, better still, throughout their careers, unless of course a mega money deal came along. Football has evolved over the years and just like any other company employers and employees are much more fluid today. Employers are looking to improve the quality of the staff to enhance the competitiveness of the company, whilst employees are looking for better paying jobs with better perks and benefits. Now loyalty is a two way street; one has to earn loyalty, it cannot be bought with a contract. If we are honest to ourselves and ask how loyal clubs, or for that matter fans, are in the modern game, then the obvious answer is that both clubs and supporters no longer stick by players and managers through thick and thin like they used to. "The days of us expecting a player or manager to see out his contract, no matter what, are long gone I am afraid. Football heroes come and go, but the club and the fans continue, and the fans support is where the only real loyalty, that can be 99 per cent relied upon year after year, lies in the modern football world." It is about time we fans give up the ideology of player loyalty, and respect the FEW who do decide to spend their entire careers at a single club. The time of one-club men has come to an end.